Provide workers with the ultimate safety barrier system. Designed to withstand up to 200 Lbs. of dead weight when assembled in accordance with manufacturer’s instructions. Sets up in minutes and requires no additional hardware. 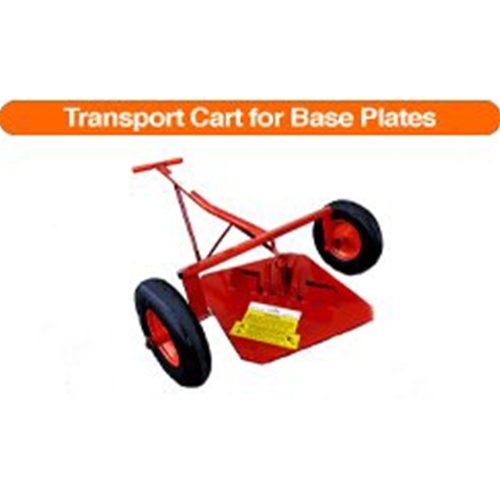 Eliminate back strain from hauling the base plates using our transport cart. Moves steel base plates from one point to the next as the work progresses. Rail sections are pinned to the base plates for added reinforcement. Base plates have a reinforced welded hoisting eye for transporting. Steel brackets are welded onto the base plates. Brackets hold 2” x 6” toe boards as required by OSHA.